What’s on your holiday wish list? A camera? 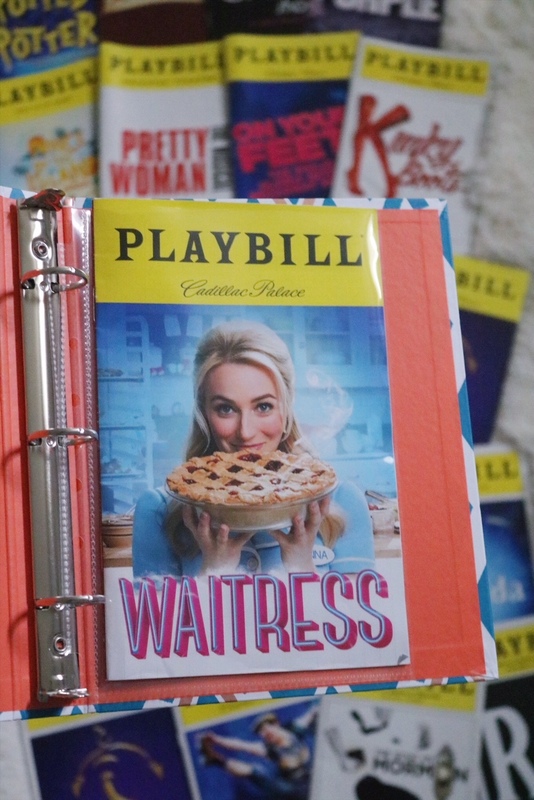 A new purse? How about that book you’ve had your eye on? 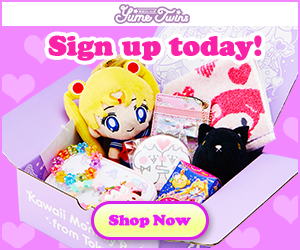 It’s easy to think about the perfect gift to get yourself, the tricky part is figuring out what to get everyone else. 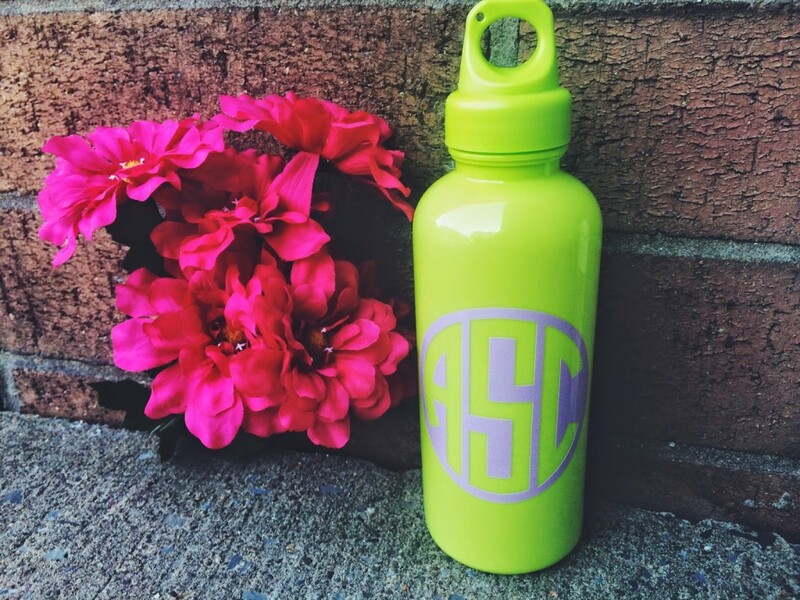 Whether you’re shopping for your mom, dad, boyfriend, best friend or roommate, the perfect gift isn’t hard to find! In fact, the perfect gift can be found right at your local Target! Give up yet? 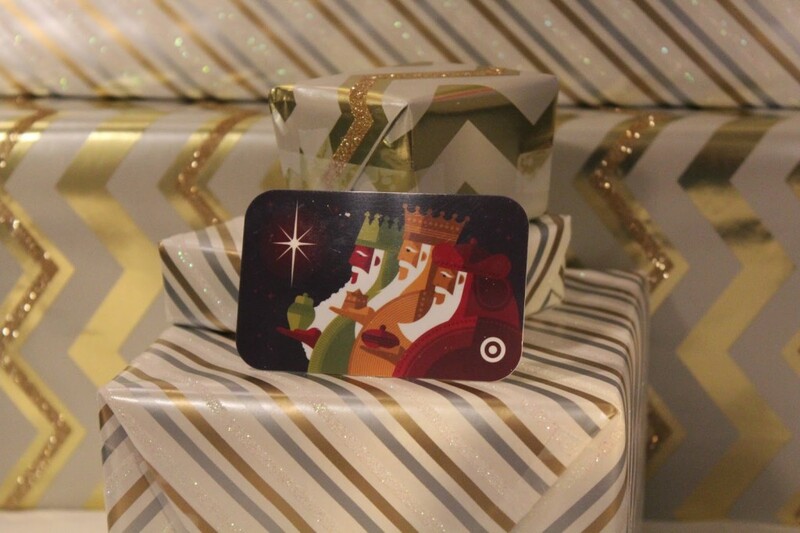 It’s a Target GiftCard®! With a gift card, you’re GUARANTEED to give the perfect gift this holiday season, because the recipient gets to pick out exactly what they want! Target did a little research and found that 90% of people love receiving gift cards as a gift, but only 30% of people feel good about giving one. Crazy right? What’s so wrong about giving a gift card? For this craft you’ll need some Mason Jars (I used a variation of small and large jars), mini Christmas decor/figurines (I gathered some trees, Christmas townsfolk and a snowman from my family Christmas Village display), a handful of fake snow (both spray on and snow flurries are fine), glue (a combination of Mod Podge and Tacky Glue does the trick) and of course, a little water. 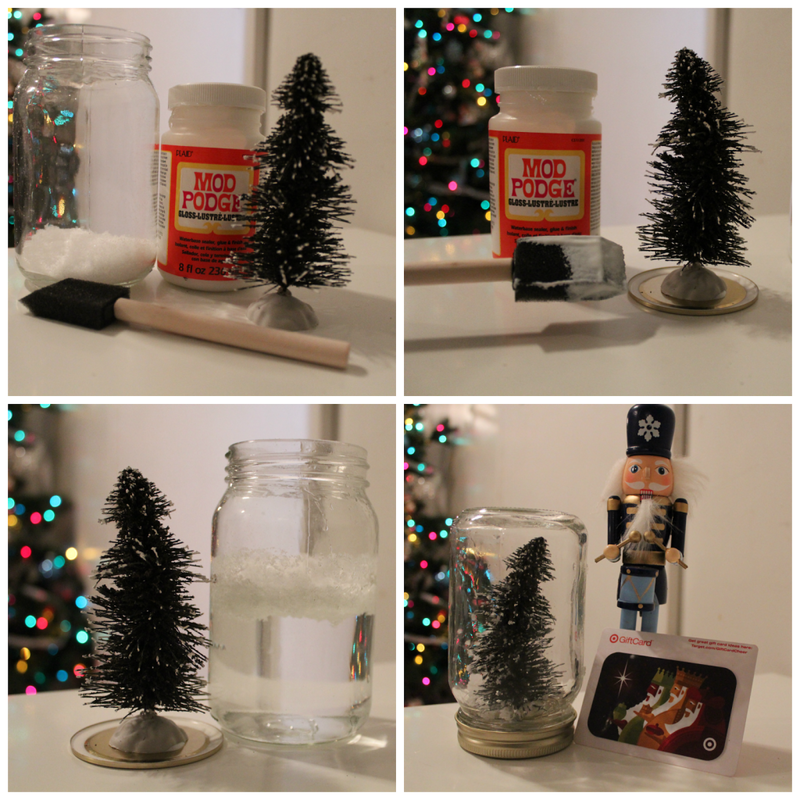 First, use your adhesive (I used Mod Podge for the first jar before switching to Tacky Glue) to attach your Christmas figurine (I started off with my snowy Christmas tree) to bottom of the Mason Jar lid. Ensure that figure is centered on the lid and allow time to dry (about 10 minutes will do!) 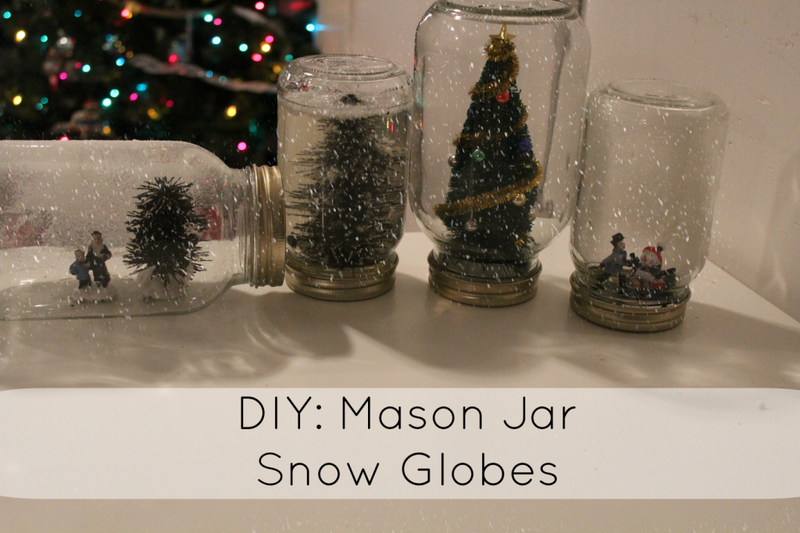 Next, fill your jar completely with water and a pinch of snow flurries. 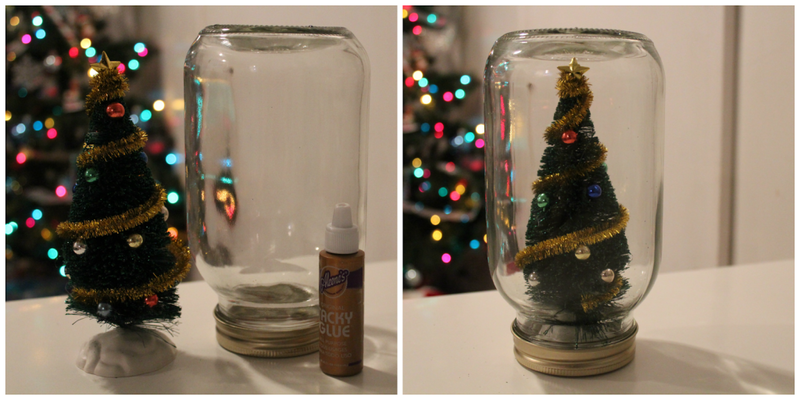 Slowly dip the tree into the jar until it’s completely submerged. 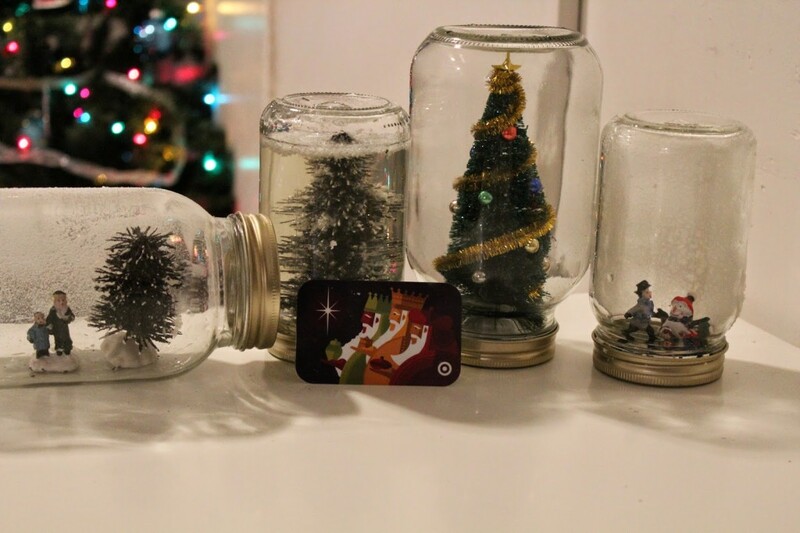 First, use your adhesive (I used tacky glue since the figures were so small) to attach your Christmas figurines (to create this winter wonderland scene, I used three small figures: a little boy on ice skates, a boy sledding and a snowman) to bottom of Mason jar lid. Allow 5-10 minutes to properly dry. 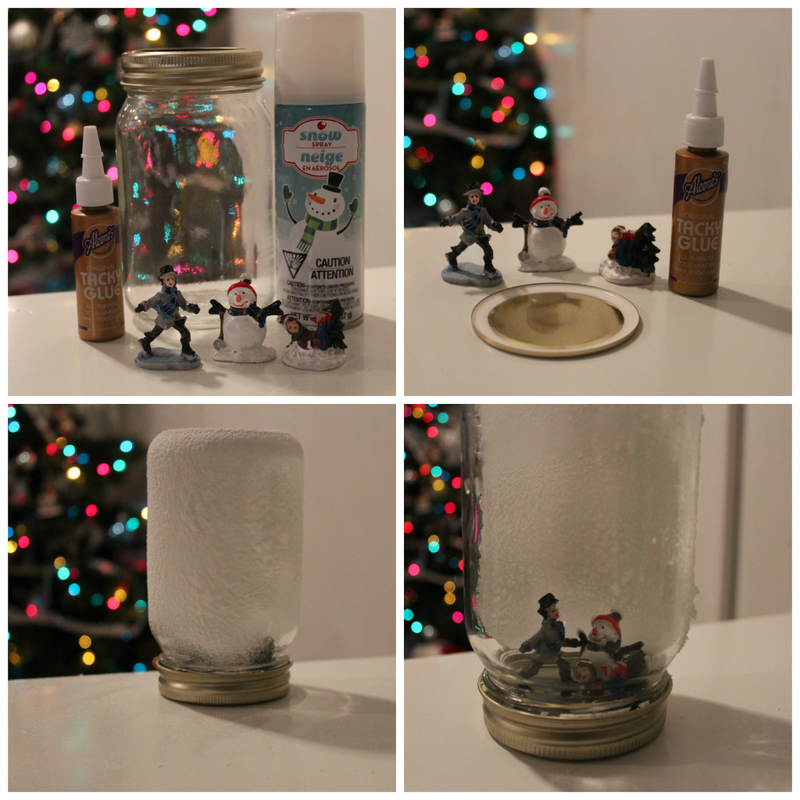 Using spray on snow, completely cover the back of the mason jar (the side not facing the figures faces.) This way, when you turn the snow globe over, it creates the illusion of a wall of snow behind them. For this one, I decided to do a non-traditional snow globe. In order to recreate the scene of a little girl and her mother as they shop for Christmas trees, I turned the mason jar on its side. 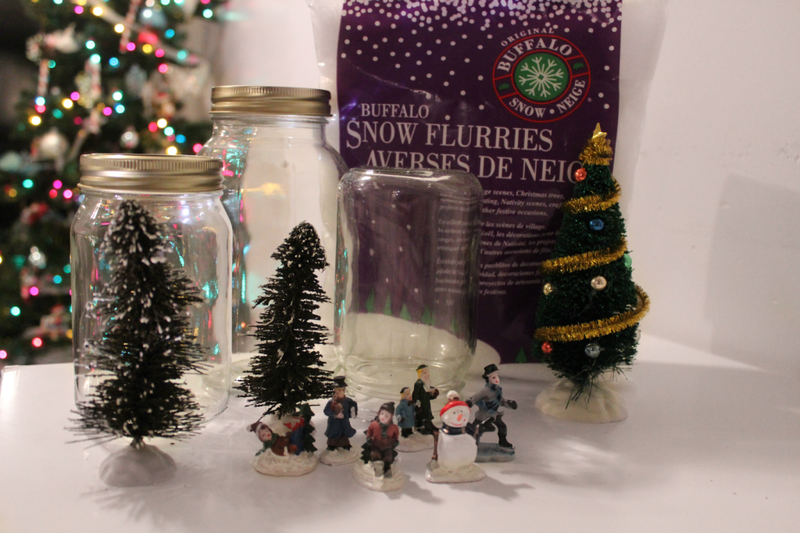 After gluing the figures and allowing them to dry, I sprayed fake snow around the outer jar to create a snowy winter day. 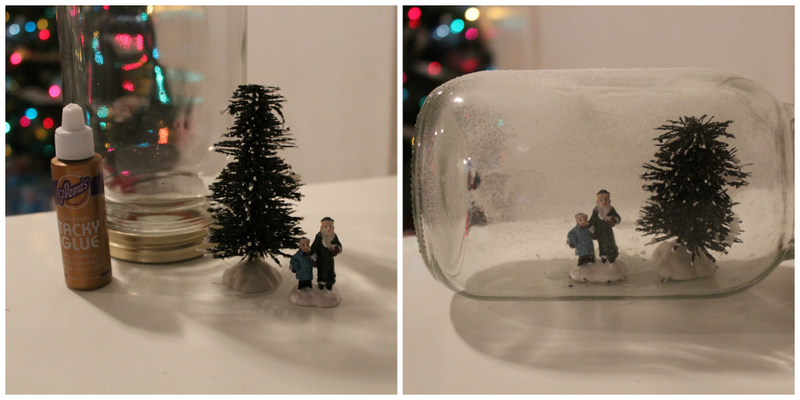 For the final snow globe I decided to keep things simple. Since this tree was decorated so beautifully, I decided not to add any water or fake snow. If you place this globe in a dark room, the ornaments even start to glow! 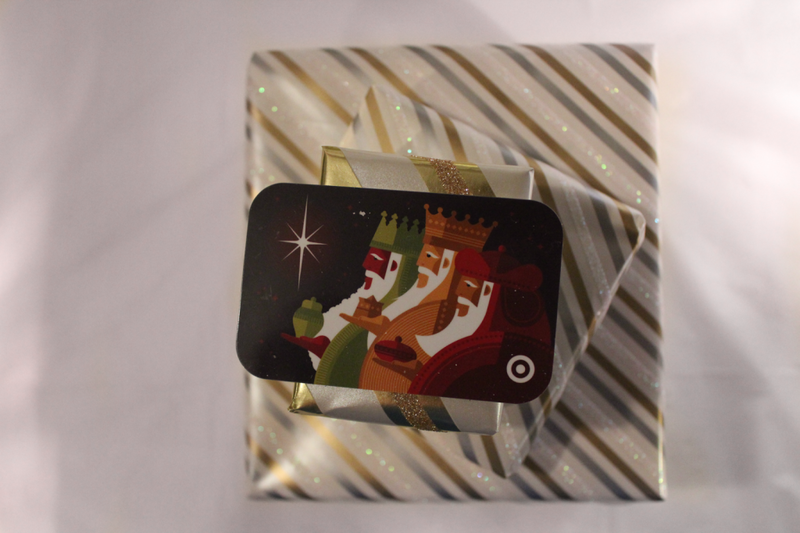 Do you like getting gift cards during the holiday’s? I recently meet an AMAZING blogger through the Her Campus Blogger Network, her name is Jacqueline and her blog is Pretti Please. 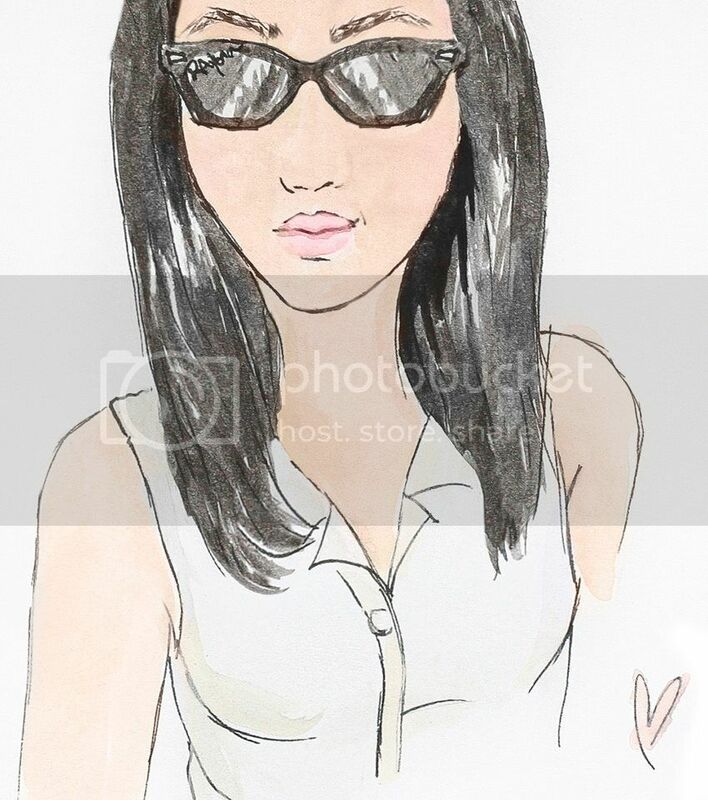 Not only does Jacqueline run her awesome blog, (seriously you NEED to check it out!) 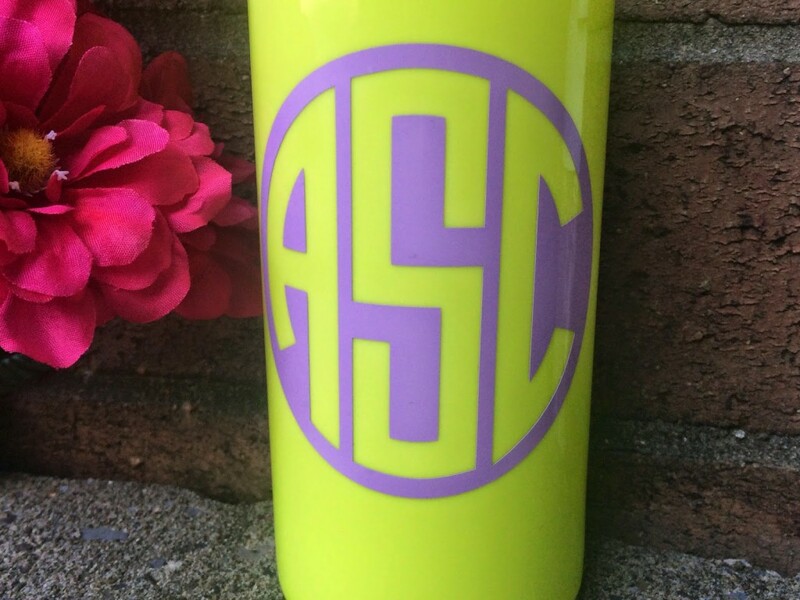 she also runs Bowtique By Jacqueline a super cute Etsy shop that sells trendy bows, hair ties, decals and greek gifts! 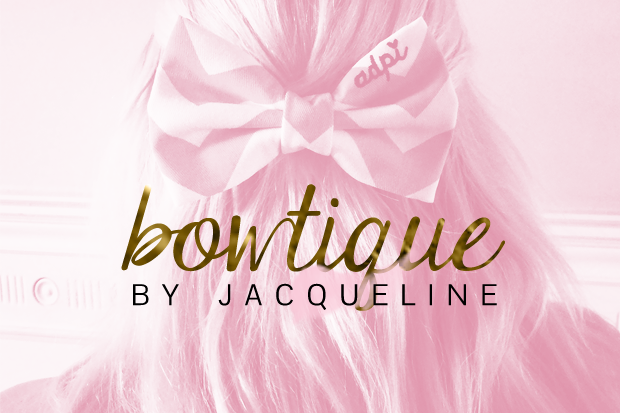 Check out Bowtique By Jacqueline on Facebook, Twitter & Instagram! 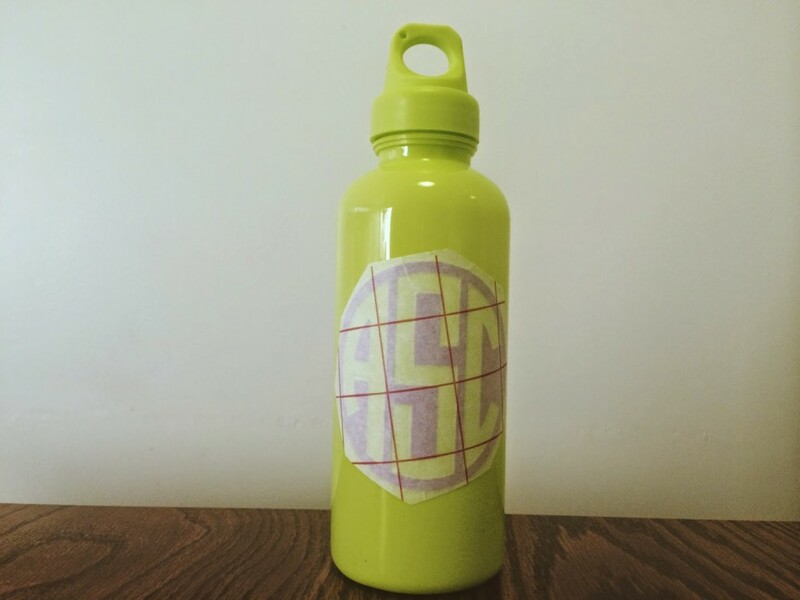 Jacqueline sent me an adorable custom decal from her Etsy shop and I immediately feel in love! 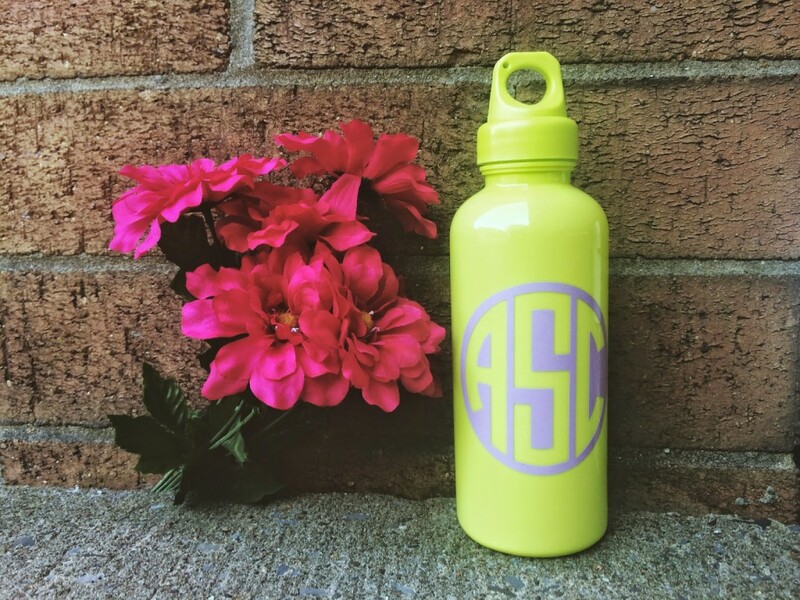 Ever since my first DIY project, (check it out here) I’ve been itching to do another one! This time around instead of mason jars, I decided to switch things up and use a water bottle. 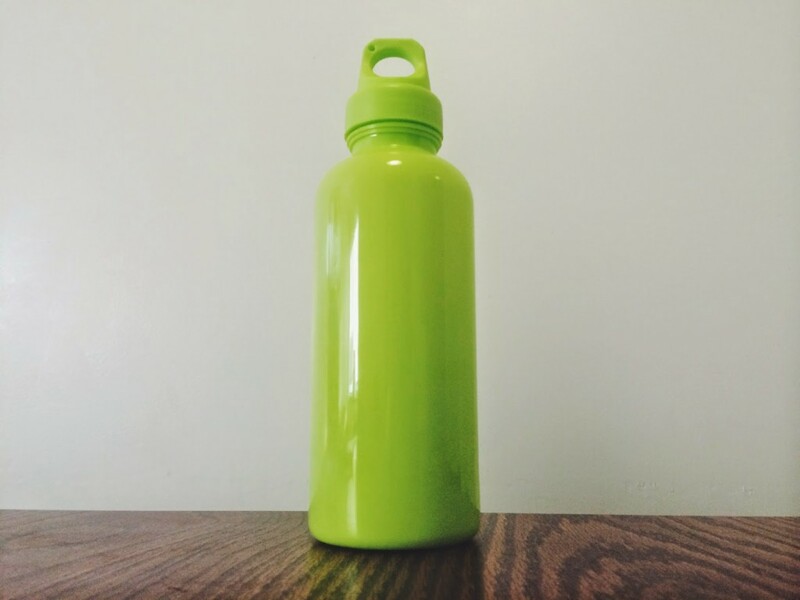 I used a regular green water bottle that I purchased for $1 at Target! 1. Start with a clean surface. 2. Gently peel up one of the corners from the side of the decal that has the red grid on it. 3. Press the decal down firmly onto your desired surface. 4. You may now peel the transfer paper from your chosen surface!